TIMOKHIN Vasily, Doctor EMC. Make an appointment, ask a question. From 2003 to 2010 he had been working as a medical assistant of the mobile medical team at the Station of emergency medical services n. a. A.S. Puchkov in Moscow. In 2010 he graduated from the Russian State Medical University n. a. N. I. Pirogov with a specialization in pediatrics. From 2010 to 2011 he passed an internship in pediatrics at the Children's City Clinical Hospital No 13 n.a. N.F. Filatov. In 2015, he completed his professional retraining on ultrasound diagnostics in pediatrics at the Russian Medical Academy of Postgraduate Education. 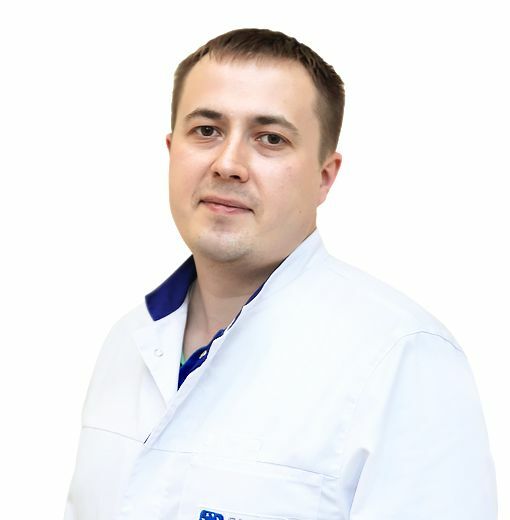 Since 2011 he worked as a doctor of a specialized pediatric team at the Station of emergency medical services n. a. A.S. Puchkov in Moscow, as a doctor of ultrasound diagnostics at Children's City Clinical Hospital No 13 n. a N.F. Filatov.